I’ve had hanging chairs in the past, but I’ve never known true comfortable until the day my very own Hammock “Chilloutchair” arrived. From the first time I sank into it, I knew that I had made the right choice. I love the fact that it’s made from soft, eco-friendly material, so much better than the cheap scratchy coverings I’m used to with furniture like this. 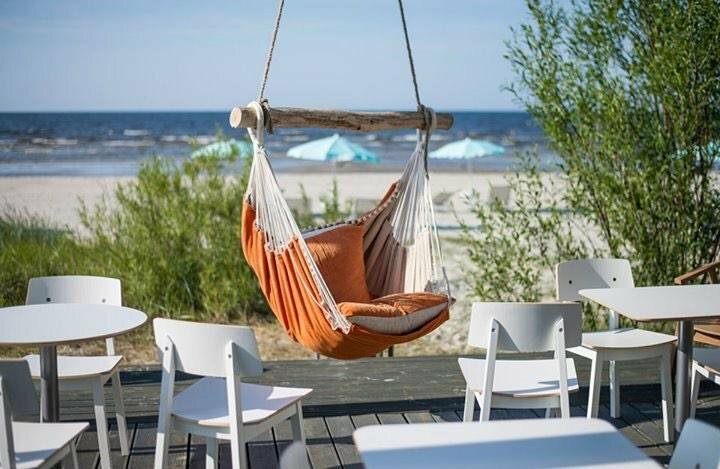 My favorite part of the chair has to be the wooden spreader bar; each one is hand sources from the wild native beaches of the Baltic Sea and it’s the perfect finishing touch to this handcrafted chair. 3 BUY IT OR NOT? Relaxing in the Chillout Chair is fantastic, I’m over six feet tall and still able to comfortably recline. The chair to sway slightly, and it’s this gentle rocking motion that I find peaceful and calming. It’s the best place for me to relax; either reading a book or listening to soothing music. 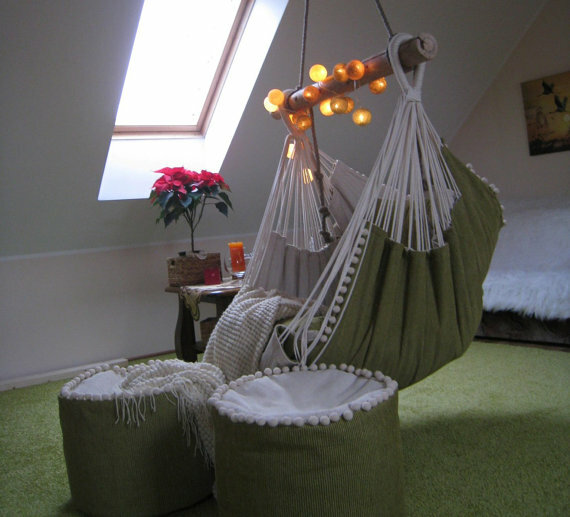 In my experience, a regular hammock is too big to hang inside, but my Chillout chair is just the right size to fit in the corner of my bedroom, without taking up too much space. 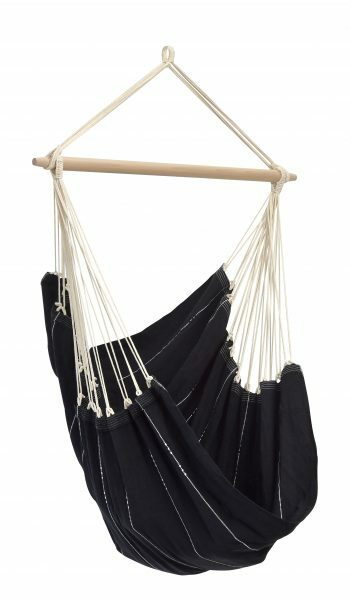 I already have two hanging basket chairs, but they include wooden and metal parts, which become uncomfortable after a while. 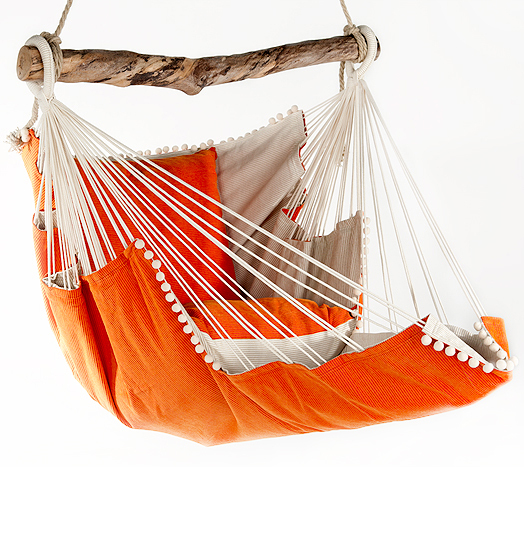 In this hammock chair, I can just chill out for hours. Each chair is handcrafted, meaning that my chair is a one of a kind piece of furniture. It’s such a beautiful addition to my home, I’m even thinking of getting more. It has a fold-out leg support which allows me to lift off the ground and stretch out my legs. 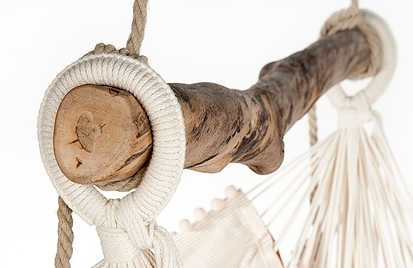 The hanging hardware is included and the height is adjustable with the rope. The chair is 24.6 inches wide and 27.6 inches high. 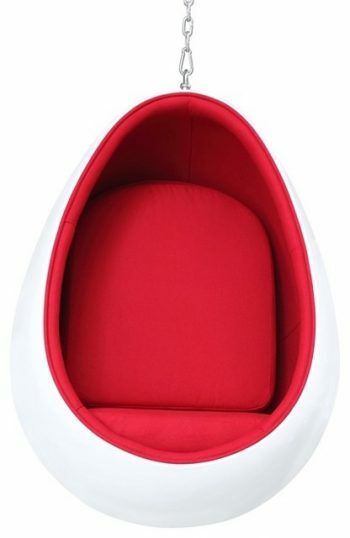 The length of the seat is 47.2 inches wide, with the leg rest included. The wooden spreader bar is 47.2 inches wide and the carrying capacity is 120kg / 264 lbs. The price of the chair includes all the hardware, two pillows, and two washable pillowcases. Versatility: The only problem I had when my chair arrived (super fast as well, all the way from Latvia) was deciding where to put it! It’s a really versatile piece which would have looked equally good out in my garden, but I finally decided on my bedroom. I’m thinking of buying two more for outside and I imagine that these chairs would look awesome in spas, restaurants, and resorts as well. Quality: I was blown away by the fine attention to detail of the Chilloutchair. You can tell that great care was taken to craft the chair and the finishing is excellent. The pillows and material covering are also made from superior filling and fabric.The pillow cases are removable and washable, which is a huge plus. Comfort and Style: As well as looking incredible, my chair is wonderfully comfortable. 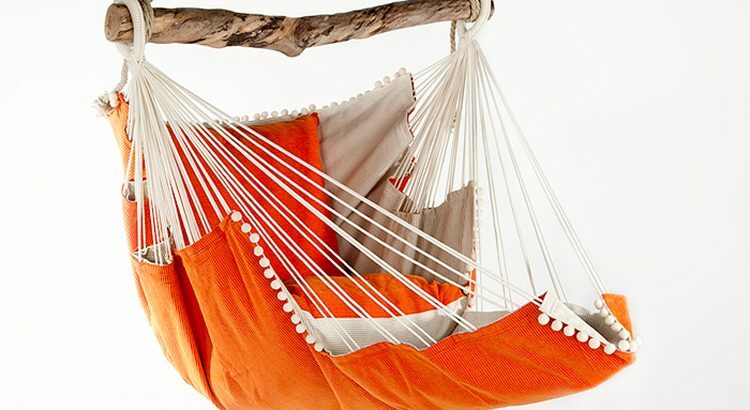 It has the footrest, the soft finishings and the gentle rocking motion will make me feel like I am relaxing on a tropical beach, even in the middle of the city. My young daughter battles to get into the chair so I always help her. My mom tried the chair, but I think it’s a little difficult for an elderly person to manage. 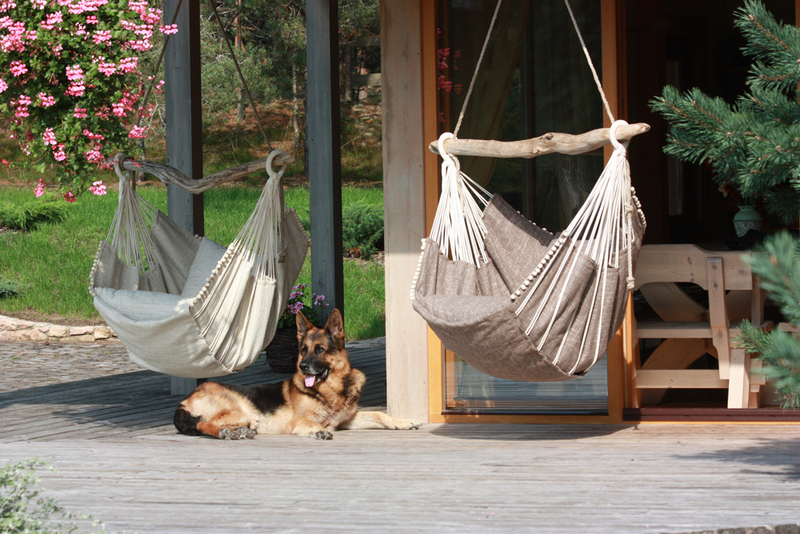 This CilloutChair is a copy of Bohorockers Hammock Chair designed by Philip Cooper in 2002, which is the original designer. 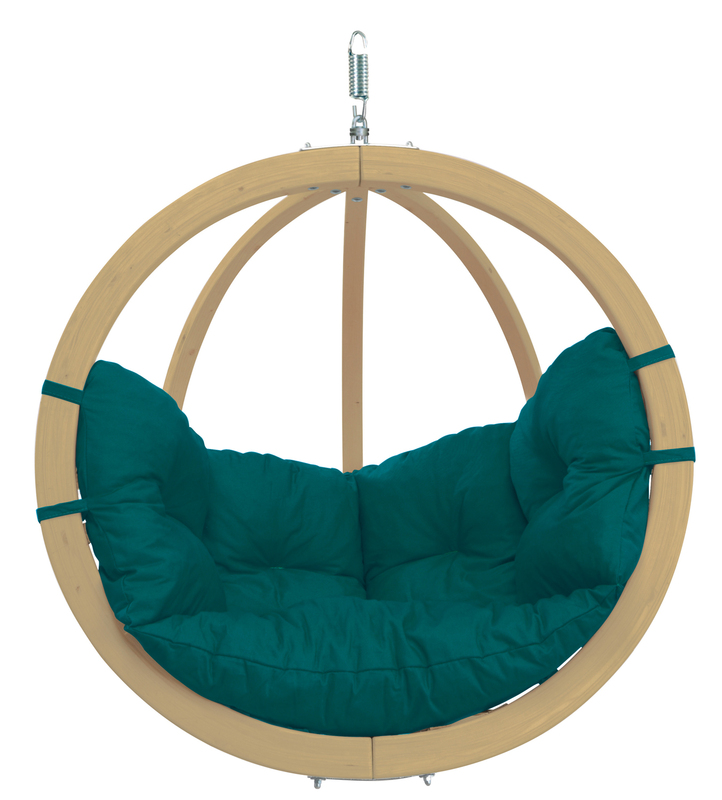 In conclusion, I can say that the Hammock ChilloutChair is definitely worth buying for a number of reasons. Firstly, aesthetics – the chair looks interesting and unique and brings life to any room it’s placed in. Since receiving and installing my chair (which was much easier than expected- we used the swing hanger by Marathon) it’s been admired by every visitor, who all just have to try it out as well. Secondly, comfort, this is by far the coziest and most relaxing hanging chair I’ve ever experienced. The pillows are deep and soft and the fabric breathable and cool. The swinging motion is very pleasant and I’ve nodded off more than once. And the last reason that I think this is a worthwhile buy is the ‘one of a kind‘ factor. There is something very special about a handcrafted item, and it really shows in the finished product. I would choose a handmade chair like this any day over mass produced items and in this case the Chillout Chair is so well priced that it’s cheaper than a lot of its commercially produced competitors. This beautiful design is so timeless and distinctive that it has been copied over and over again. We can understand that this design is worthy of imitation, however, we would like to bring to your attention that the CilloutChair is a copy of Bohorockers Siesta Chair designed by Philip Cooper in 2002, which is the original designer. That’s why we give Chilloutchair only 4 points for design.